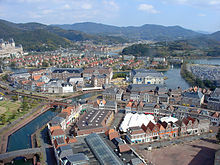 The operator of the Huis Ten Bosch theme park and the governments of Nagasaki Prefecture and Sasebo City in Japan have announced plans for a casino project. The theme park, located in Sasebo, replicates famous buildings and architecture from the Netherlands in a semi-rural Japanese setting. The parties announced an agreement to designate part of the land and buildings of the theme park as a candidate site for a casino resort. No financial details for the deal were provided.